As a business owner, you must be prepared for when things don’t necessarily go to plan; however, sometimes no matter how much preparation you have in place, you may just get caught off guard. With the threat of more snow hitting the UK in weeks to come, it got us thinking about last year’s Storm Emma and the ‘Beast in the East’. 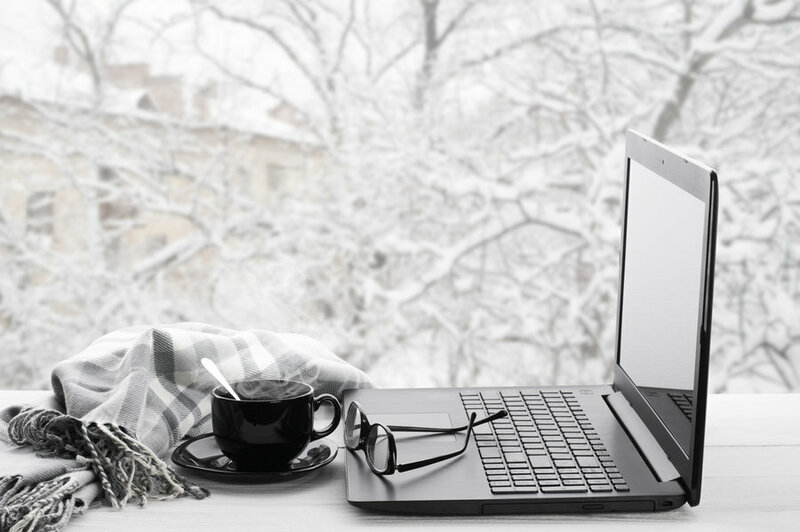 With the inconvenience that extreme weather can cause business, should companies have plans in place that will allow staff to work remotely from home in such an event of? The term ‘adverse’ is defined as ‘unfavourable’ or ‘harmful’ and is normally a word best used to characterise conditions or the effects that something has on people or situations. Therefore, in terms of natural elements, the phrase ‘adverse weather’ is used to describe a weather event that is significantly different from the average pattern and causes hazardous conditions. These severe weather conditions can include anything from thunderstorms, flooding and snow, to extreme heat. Across the globe, there are plenty of locations that are no strangers to the impact of adverse weather conditions. Countries like Canada and the northernmost parts of Europe are well adapted to occurrences of heavy snowfall, with efficient infrastructures ensuring that little to no disruption to society is caused in these events. Similarly, countries that lay where the equator falls are well acclimatised to the extreme heat they experience. The simple fact of the matter is that the UK is just not accustomed to experiencing extreme and adverse weather. While there are historical instances of these events occurring, they are few and far between. Before the snowfall that started to hit on Monday 26th February 2018, the UK as a whole had not experienced such severe weather since December 2010. A few inches of snow and most of the UK was ground to a halt, with many rail services being greatly restricted or, in some cases, cancelled completely, and roads too treacherous to drive on. This is down to many contributing factors, including lack of preparation and ageing infrastructure. Regardless of the reasons behind the struggles we face as a nation when it comes to adverse weather, it is important to recognise that the disruption it causes has a massive impact on businesses. Most obvious is the issue of staff actually being able to make it into the office. With hazardous road conditions and major disruptions to public transport, it is unsurprising that employees will struggle to make it into work safely or on time. Working parents will experience the added pressure of school closures, with no alternative child care arrangements; meaning that they will have no other option but to stay at home. In some cases, where instances of high winds or thunderstorms occur, the issue may be that the weather affects the office environment, making it impossible to carry out work at all. For example, where a power line comes down or internet connections are disrupted or lost. Even if staff are still able to make it into work during a bout of severe weather, it doesn’t necessarily mean business as usual. With the unpredictability of mother nature, management will still need to keep a ‘weather eye’, so to speak. It is important in these situations to keep tabs on the real-time progression of both the weather and the forecast throughout the day, to ensure that staff will be able to make it home safely before weather conditions become too dangerous. With this in mind, we believe that it is important for companies to cover themselves for the inevitability of an (albeit irregular) bad weather day. If employees are going to be spending hours struggling to make it into work and you are fortunate enough to have the resources to allow staff to work from home, they might as well use the time more effectively, working where they can rather than wasting valuable time. Not only does allowing staff to work from home during these occasions mean that they are both safe and able to continue with work, but it enhances morale and staff productivity. If you decide to keep the office open, even during hazardous weather, and expect your staff to make it into work without fault or delay, it is likely that they will not feel valued or cared for, potentially leading them to be less responsive to their work duties. The key to being able to successfully facilitate remote working during adverse weather is planning ahead. As instances of adverse weather leading to office closures are rare, it stands to reason that employers should be prepared for unexpected situations. Do staff have the means to work from home? In some cases, they may not have adequate equipment or software to allow them to continue with their work. All systems needed to pick up work must be accessible. An effective office communicator is not essential but would be beneficial in enabling staff to correspond with one another. Can you provide work tasks for staff? You should also ensure that they understand what they are required to do and that they have a means of contacting a member of management if they find any difficulties throughout the day. What Else Should be Included in an Adverse Weather Policy? First and foremost, an Adverse Weather Policy should be used to balance the protection of employee health and safety with the assurance that the business can continue to run as efficiently as possible, given the circumstances. A vast majority of employees are commuters, having to travel to and from work either via public transport or by other means. Unfortunately, travel disruptions are unavoidable at the best of times, especially during a turn of the elements. Be sure to include the procedure you expect your staff to follow in the event of travel disruption. While it is not a legal requirement to provide pay for absence as a result of adverse weather, it is important that staff are made aware of your policy. You may wish to offer a goodwill gesture of up to a specific number of holiday days redeemable to compensate for work missed due to the weather. Alternatively, you might not want to offer to pay for these instances at all. Either way, full transparency is a must. In the event that your office has to close due to the severity of weather conditions, you must detail your employees’ right to pay. Employees are entitled to take unpaid time off in the case of an emergency where a dependant is involved, including the disruption of care arrangements. All working parents should be made aware of this right. Any training relevant to the policy and its procedures should be provided to those who will be dealing with the day-to-day aspects of weather disruption. The policy should also outline the steps an employer must take in the event that they feel a staff member is taking advantage of bad weather as a convenient excuse not to come into work, including any disciplinary action if necessary. If you require any further information regarding the effects adverse weather on businesses, visit the ACAS website.